New chapter for old books. A series of book recycling workshops is being held at Bath Central Library starting on Tuesday 28 May. These workshops are free but places are limited so book your tickets by coming into one of our libraries or e-mailing:Recycled_BookCompetition@bathnes.gov.uk. Wednesday 29 May: Recycled Book Workshops; 11am-1pm (under 12s) and 2pm-4pm (ages 12-17). All children must be accompanied and supervised by a parent or guardian throughout the workshop. 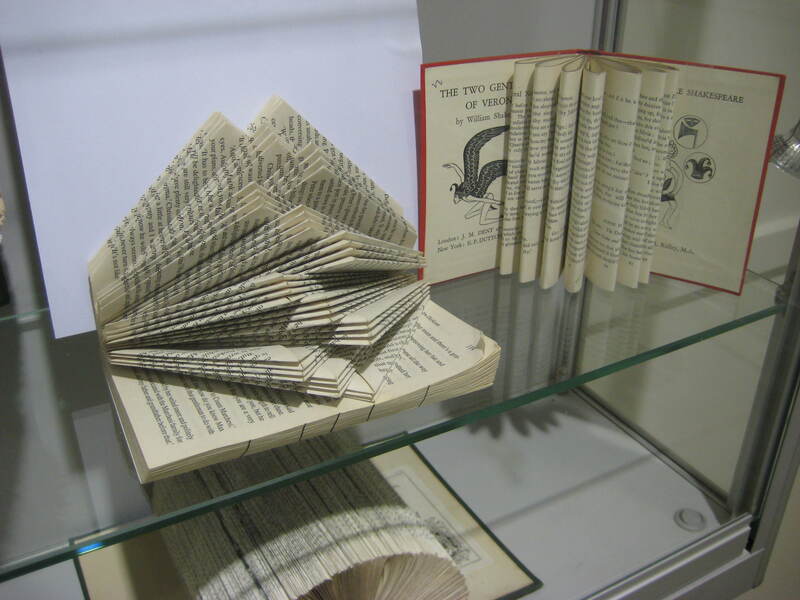 The Central Library in Bath has a display featuring some ‘book-art’ examples! Library members of all ages are being encouraged by Bath & North East Somerset Council to get creative and turn old books into works of art. If you would like to take part just visit any of Bath & North East Somerset Council’s libraries from 28 May to choose an ex-library book and pick up an entry form. You have until 31 August to remake the book into anything you like. To take part you must be a member of a LibrariesWest library and you have to use ex-library books supplied by Bath and North East Somerset Council’s Library Service. Apart from that you are free to remake your book in any way. More information and full terms and conditions are available at: www.bathnes.gov.uk/libraries.